CRS, Inc. is a privately owned importer and wholesale distributor founded in 1927. Trusted and respected in the community of cash register and POS resellers, CRS is well known as a source for products of quality and value. CRS has maintained membership or sponsorship of the Retail Systems Providers Association (RSPA--formerly the ICRDA) for over 50 years and is currently recognized as an RSPA Certified Vendor. As a distribution partner for some of the most respected POS manufacturers on the Pacific Rim, CRS contributes valued market expertise in addition to product design and development assistance. These alliances produce products that lead the industry in both fitness and performance. Principal CRS products include electronic cash registers, point of sale terminals, printers, tablets, and cash drawers. In addition, CRS warehouses a complete line of POS peripherals and serves as a one-stop source for any POS reseller. 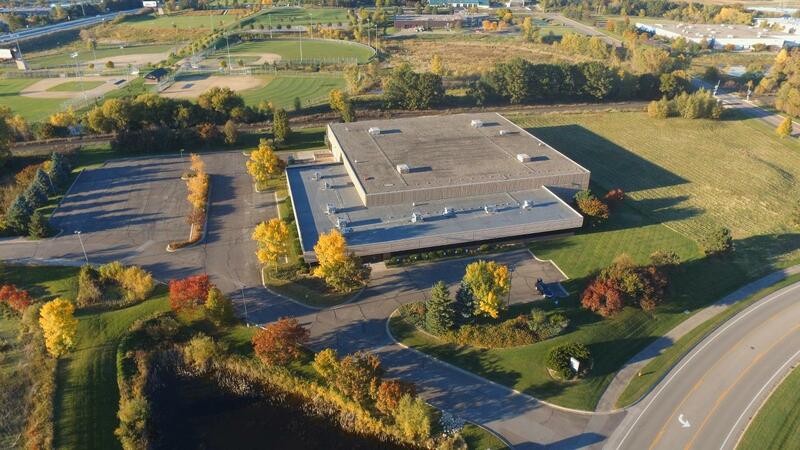 Through several key regional distributors, CRS is able to provide first- or second-day product delivery to the vast majority of North America. CRS, Inc. was founded in 1927 as an independent cash register dealership. In the 1960s, under the direction of the late Ken Sanders, CRS expanded operations to include a rebuilding facility and distribution center for used and reconditioned NCR cash registers. Beginning in the 1970’s electronic cash registers (ECRs) emerged replacing electro-mechanical cash registers. CRS led the industry with CRS designed and developed first generation ECRs manufactured in the USA. Then, through import relationships with major Japanese manufacturers, CRS introduced low-cost ECRs to the North American cash register dealer channel, and expanded distribution to the office products reseller channel. In the mid-1980’s, CRS began a relationship with Samsung Electronics as the exclusive importer/distributor for Samsung ECRs in North America. In 2001, Samsung Electronics sold their ECR operation to their manufacturing subcontractor, Shin Heung Precision Co., Ltd. (SHC). CRS has continued the relationship with SHC establishing the SAM4s brand to succeed the Samsung brand. Together CRS and SHC have grown the SAM4s product line to become the world’s most respected ECR brand. In 1974, the CRS Parts Division was established, offering industry related parts and supplies through direct mail and telemarketing. As the PC-based POS market emerged in the 1980’s and 1990’s, CRS added POS peripheral products, including POS printers, cash drawers and terminals. Today, CRS peripherals are offered by hundreds of POS resellers and are certified or compatible with most popular POS application software brands. Our mission is to be the premier international provider of value-added information solutions and services by serving others through actions inspired by our integrity-based values and business principles. CRS's Core Values and Principles are at the center of every decision that we make. Our main purpose is to serve others and improve the quality of life with everyone we come in contact with. We will do this by incorporating and living by a number of core values. Our company is built on trust and unconditional respect for all people. The single most important factor that influences this respect is the attitude and performance of the CRS employees. We should value each person’s intrinsic worth and uniqueness. We are charged with the privilege and responsibility to create a culture and environment that supports and encourages each employee to achieve his or her highest potential. In order for employees to achieve their potential, we must accept the responsibility to show by our actions that we care about them as individuals, understand their needs, recognize their talents, and support them in their efforts to grow. We always select employees who share our values, are qualified, and highly motivated. We ensure our employees know where we are, where we are going and what values and principles will guide our journey. We acknowledge everyone’s contribution and honor his or her opinions. Our work environment is open, honest, supportive, and fulfilling. We keep promises. Each employee is empowered to make the organization succeed and is 100% accountable for his or her actions and fosters the environment that facilitates this accountability. We challenge the status quo and promote continuous improvement in our personnel, systems, processes, organizational structure, productivity, and customer satisfaction. We promote innovation in all we do. We take ownership of our mistakes, correct them in a timely manner, and learn from them. We produce cost-effective products and services targeted to our customer’s needs. We meet our commitments to our vendors, customers, and employees today and tomorrow. We communicate openly and truthfully in a timely manner with each of our vendors, customers, business partners and fellow employees. We work safely, comply with laws, and are a good neighbor. We respectfully treat others the way we want to be treated. We believe that those who wish to become great must be willing to serve. We are helpful and compassionate. We are good listeners and encourage constructive feedback. We are committed to each other and have fun together. We are an organization known for our “servant spirit” in all our relationships. We also believe that we are accountable for and good stewards of all that has been entrusted to us – our time, talents, financial resources, and relationships. We act accordingly. As a company, we operate as an integrated firm through teamwork among individuals, departments, and offices. As the people of CRS, we pledge to live by these core values and principles genuinely and with excellence. 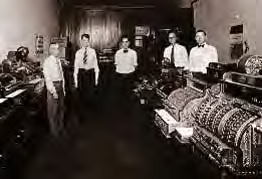 1927 Cash Register Sales Inc., founded. 1961 Cash Register Sales Inc., purchased by the late Kenneth Sanders. 1962 Began wholesale distribution of used mechanical NCR cash registers. 1964 Established “Rebuilding Center” for used mechanical NCR cash registers. 1970 Began regional distribution of electronic cash registers (ECRs) as one of original 13 master distributors for TEC in North America. 1972 Began national distribution of ECRs with the “King” brand in North America. 1972 Launched a new distribution channel for ECRs by exhibiting at the National Office Machine Dealer Association (NOMDA) convention in New Orleans. 1974 Established the “CRS Parts Division” for worldwide distribution and sales of cash register parts, components, and supplies to cash register and office machine dealers. 1974 Registered the ESPER® trademark and began distribution of ESPER® ECRs first manufactured by Towa, and later by Matsushita Communications Industrial of Japan. 1975 Established a wholly owned subsidiary “Delta Systems, Inc.” for the design and manufacturing of ECRs. 1977 Established the “Office Products” division of CRS, Inc. for the design and distribution of “CRS” brand ECRs. 1987 Initiated relationship with Samsung Electronics, Co., Ltd., Seoul, Korea as development partner and exclusive North American importer/distributor for “Samsung” brand ECRs. 1988 Active Customer base reaches 5,000. 1989 Initiated relationship with Nitsuko Corporation of Japan as development partner and exclusive North American importer/ distributor for food service terminals. 1996 Began importing/distributing Samsung transaction printers. 1999 CRS Peripherals & Parts Division succeeds the CRS Parts Division with new products including PCs, touch screen terminals, transaction printers, and other peripherals making CRS a one-stop source for VARs and system resellers. 2000 Nitsuko and NEC merge POS businesses – CRS releases NEC 4000 POS terminal. 2002 Celebrated 75 years of business. 2002 Introduced Diamond Series of Integrated Touch Screen Terminals and Related Peripherals. 2007 CRS appointed exclusive distributor of SNBC POS printers for the Americas. 2010 CRS announced that the dealer warranty for all Extraordinary Value SNBC receipt printers has been extended to an industry leading three years. 2011 PA-DSS validation for SAM4s ECR Series completed. SAM4s in the only ECR manufacturer that has completed PA-DSS validation for its entire range of electronic payment capable ECRs. 2012 CRS Inc. offers iOS and Android software developer kits. ISVs and developers can integrate SNBC current generation printers and CRS cash drawers with Apple iPad, iPhone, iPod Touch and Android mobile devices. 2014 CRS Inc. introduced CRS Funding 2.0™, a comprehensive financing and ongoing payment collection solution that enables POS VARs to engage their markets more competitively, close more sales and build equity. 2016 CRS Inc. announced that it has entered in to an exclusive agreement with Hisense Intelligent Commercial System Co., Ltd. (HICS) to distribute select Hisense POS products, including Tablets and Touch Terminals in the USA and Canada. 2017 Celebrated 90 years of business.